I'm pretty excited that we joined a CSA (Community Supported Agriculture) this year. Scott was worried it would keep us from going to the farmers market. Our share is for a small family, but we eat more than 5 things of produce in a week so I'm pretty sure we'll still be going to the markets. 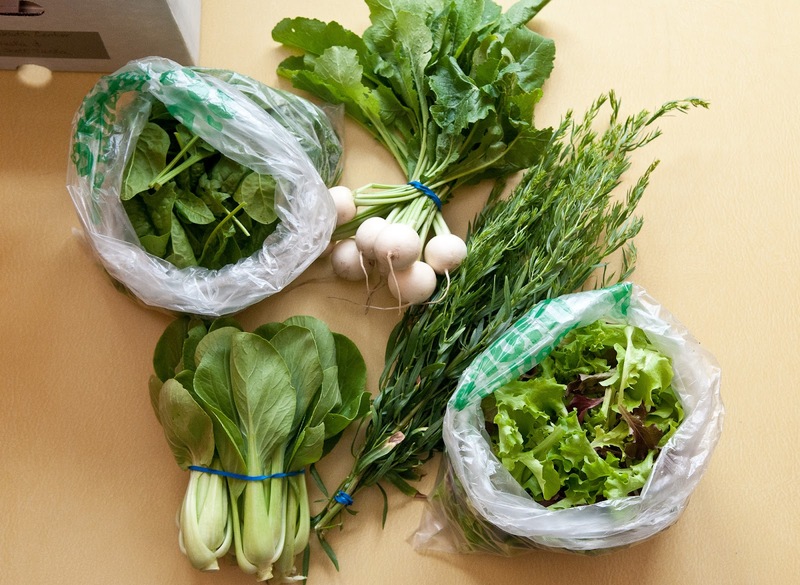 For our first week we got spinach, salad turnips, tarragon, salad mix and bok choy. I love that we don't know what were going to get. We were supposed to get green garlic, but somehow that was missing. I don't mind since we have plenty growing in our yard. What do you use bok choy for?